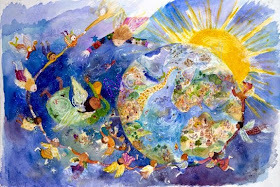 Greetings dear Starseeds of all Leagues and Nations currently embodied as human beings on planet Earth. Allow me to identify myself, so you may know, through complete transparency, from who this message flows . 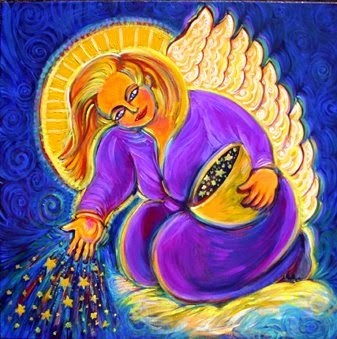 Most modern-day awakened Starseeds working with the light would recognize me as Master Sarah, ascended master daughter born to Jesus (Sananda) and Mary Magdalene (Lady Nada), however, that is a “newer” version of me. More old- world-religion zealots know me as Brigid, the Celtic patroness of healing, poetry and smithcraft; Roman Celtics and Roman Catholics knowme as St. Brigid. Some people who think they are channeling Master Sarah have said that I am also the goddess Kali. This is false information. My soul essence and origin is Pleiadian, as my light being and energetic consciousness is a fractal of the central sun (Alcyone) of the Pleiades star system. My Pleiadian light-being name is Peunice, however, I prefer the nickname Scarborough. My first human incarnations on Earth were primarily on the lands known as Ireland and Scotland/Britain, now known as the United Kingdom. These incarnations were during the late Neolithic, Iron and Bronze ages. How I came to be “Master Sarah” is this: Sananda and Lady Nada approached me and asked if I would like to be the physical embodiment offspring of their physical embodiments (most commonly known as Jesus and Mary Magdalene) to quietly serve as the incarnated harmonic balance of their two energies, the Divine Masculine and the Divine Feminine, and to create a bloodline that would share this light quotient essence for our Pleiadian soul group to incarnate into as a means to continually serve our sacred Mother Earth and all of her inhabitants . Some of the elite/criminal cabalists are trying to claim this bloodline as their own. This is also false information. Their souls do not possess the proper vibration to incarnate into this bloodline. That is all I care to share at this time regarding my soul ties with this bloodline. More will be revealed in time, as the light quotient on Earth rises, and more and more human beings are ready for absolute truth. Until then, know that we are many, and we are undetected due to our “commonality” across the many societies and cultures that make up the rich heritage of Earth's human family. For now, too many are still too deeply rooted in the lower fear-based vibrations to accept the absolute truth. They still cling to the grand deception as the only truth, and they still fight for it with fervor. 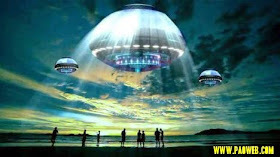 This is to be expected, and it is alright, for it is simply how things are for the moment, but, as many of you Indigo Starseeds are aware, and through some of your very good work, truths are being revealed andwill eventually be accepted as such, for there is too much evidence to suggest otherwise. 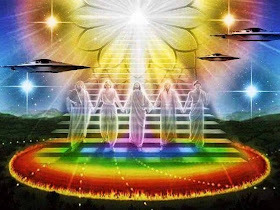 Of course, more of you are now needed to step into your Divine Will missions and incarnated soul purposes as Starseeds, should you wish to do so. You all have free will, even once you commit to you Divine Will mission, for it is your gifts, talents and interests and passions that will determine HOW you fulfill your mission, through your creative heart, with love and light for planet Earth and all her inhabitants. We encourage you to realize and step into your personal power with unconditional self love. Many of you already know in your hearts that you have incarnated on Earth to do “something big.” And, of course, this is true. You all volunteered to incarnate on Earth as physical embodiments ofyour higher selves (light beings) to bring the peace and harmony to a planet saturated in chaos and turmoil. 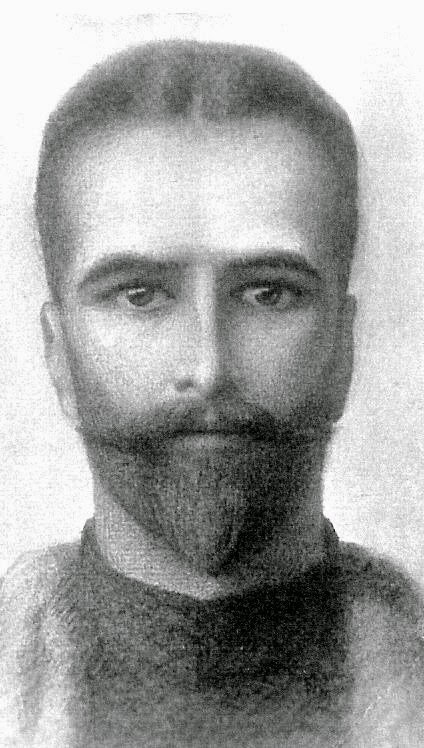 You incarnated to lead by example, in the 5D vibration of pure unconditional love and light, and to help the spiritually unawakened and downtrodden raise their own personal vibrations. As a collective, your combined lightand talents are amazingly powerful; now is the time for you to begin to combine your collective consciousness efforts by moving into self empowerment through forgiveness and unconditional self love. As you forgive (others and yourself) and move into the vibration of unconditional self love, all your fears fade away. Do not look to anyone else but yourself for approval. Looking to others who do not love themselves for love or approval will only leave you feeling defeated. Looking to organized systems or institutions for love or approval will also leave you feeling inadequate, for many of these systems were created by those who wish to keep you in fear , confusion, self-deprecation or self-loathing for there is nothing they fear more than a unified front of self-loving, self approving, spiritually empowered human beings who adhere to nothing but their own love and respect for themselves and each other. Remember , you are fractals of Creator-source energy and consciousness. You are many fragments of the same loving energy. When you combine your collective energy and consciousness in love, light and harmony, you become Creator-source energy. 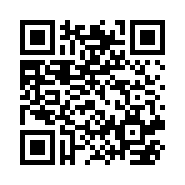 How will you do it? How can you contribute your giftsand talents to begin the peacemaking process with yourself… your family… your friends… your peers… your neighbors… your community… your state/province… your country… your island/continent... your planet… your galaxy… your multiverse? We'll give you a hint… it all begins with the human-ego surrender to love and joy. And each and every one of you holds this vibration of love and joy in your heart. It is time to stop swimming against the current, dear ones, for there is no pain in love or joy… there is only the human-ego fear that the love and joy will end. 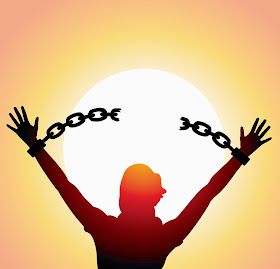 Release this fear, and move into your true personal power of unconditional love, harmony, and oneness, for this is where you will find peace, freedom, prosperity and abundance as your creative gifts and talents begin to flow and increase. For those of you still skeptical, let us ask you, how much are you rewarded for being fearful, doubtful, worrisome, angry, judgmental, critical, cynical, argumentative, negative, hateful, stubborn, envious, egocentric, manipulative, greedy or self -serving? These attitudes only hold you in fear and cyclical patterns that only lead to more of the same: unhappiness. A whole series of changes lay ahead of you now that the dark Ones plans have been thwarted. They can no longer dictate the course of Humanities future, and can only concede their position to the Light. It has meant that progress can now more or less proceed unheeded or impeded, and activities can be more open and made ​​known to you. There is much to do and our plans are to produce results as soon as possible. Hitherto we have had to be guarded where our they were concerned, but now we can let you know without any great fear. You will also see more of our craft openly moving through your skies, where previously we have mainly kept our cloaks of invisibility on to avoid any confrontation with your craft. We now await recognition from your political leaders but know that many are scared to be revealed for what they really are. However, in time all will be rev ealed and no individual will find any hiding place. The higher vibrations are no place for any lesser Beings as there comes a point when only the truth can exist. The dark Ones have had their day and in spite of all you may know about them, as with any other soul we offer them the opportunity to turn to the Light without any recriminations. They will however have a long way to go to fully recover their position in it. As you will have undoubtedly realised, our prime desire is to see every soul fully returning to the Light, and every opportunity will be given to them. You will notice that we do not talk about punishmentfor wayward souls, but compassion by giving them every chance to return to the Light. No one is beyond redemption except that they refuse to accept the opportunities we give them. All of you at some stage have walked on both sides of the Light and few of you are worse off for the experiences. Indeed, you are strengthened by them and more able to help those who have followed on in your footsteps. Now you know why we have always asked you to be non-judgemental on all such occasions. You have a saying that “but by the Grace of God go I” and thereby lies a great truth, so please do not judge those who are at different stages in their evolution. You are all greatsouls who have been to “Hell” and back again, and by this we refer to your lives in the lowest vibrations where the Light has all but been diminished. Yet you have survived to become greater beings although as yet you do not comprehend the full meaning of it. To become so separated from the Light has presented you a mammoth task to find your way back again. Yet you faced that possibility with great confidence as we promised you that we would always be there for you. We are not of course the only ones as souls from all over the Universe have wished to be part of the challenge and gain from the experience. Understand that you have re-incarnated many, many times to play your part in the great adventure that is now concluding. You have played for whatever side would best serve your interests and evolution. 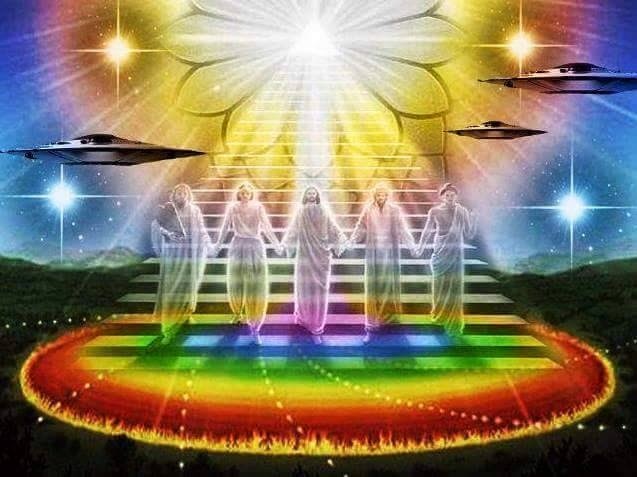 All life is continually evolving until all souls return to the Godhead from whence they came. Do not let this worry you as you have a long, long way to go before any such completion approaches. The ultimate is to again become One with God. 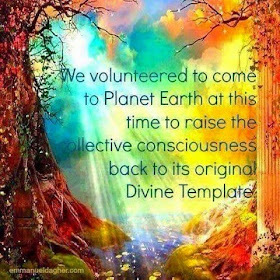 Each one of you is playing a major part in bringing the Light to Earth, far more than you would immediately realise. We hear you question whether you could do more as you feel you have much to offer, but realise that your abilities are known to us and we are pleased with what you are doing now. Simply keep the Light shining out brightly and we could not ask a lot more from you. When you consider the number of Lightworkers doing their bit to bring the New Age in, have no doubt that your future is assured. If you are called to carry out extra tasks, that is because you are considered as some of those souls with the necessary experience and knowledge to do so. Also bear in mind that once matters really get underway, there will be more than enough to go round and keep you all engaged. We know your attributes and what you do best, so there will be no square pegs in round holes. Rejoice, the real work will soon begin and all that you have been waiting for will gradually come into being. Set your sight upon all that is good and wholesome, and if you are assailed by the dark Ones see them in the Light and simply go on your way. There is no need to engage in arguments, so simply make your point and move on. Prove to yourself that you have the confidence to handle whatever is presented to you, and do not give way to provocation. Some will say that is easier done than said, but you have to be prepared for whatever situations confronts you. Succumbing to the energies of fear results in the lowering of your vibrations, and the dark Ones will feed upon them. Call upon any source of Light that appeals to you in such circumstances, and know that you will be helped. You have more souls walking your path with you than you can possibly imagine. 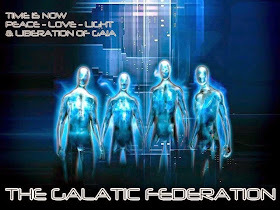 The Galactic Federation is being given more of a free hand to deal with matters that come up. Hitherto, we have been strictly under the command of the Hierarchy that has been responsible for the great plan for your return to the Light. As we have mentioned on more than one occasion, we are mostly operating with our cloaks of invisibility in place. We have not placed ourselves at risk of causing an incident, as it could involve innocent victims. We do not seek confrontation with the dark Ones, and would rather take avoiding action to keep the peace. We could otherwise perfectly well handle any problems, as we have advanced protection that you have no idea of at present. It is only used as a last resort as we are not looking to destroy the dark Ones, but protect you from them. I am SaLuSa from Sirius, and what joy it gives me to speak freely with you. 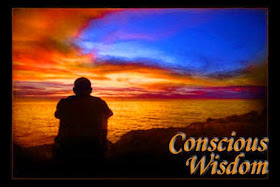 Many of you have so to say “come of age” and awakened to what is required of you as a Being of Light. Together we are nearly at the end of a long road, and thank you for perseverance and commitment to the Light. If you believe on us, dear ones, join us in positive vibrations, refraining yourselves from judgments. The action of those working in the service of Light is always loving, but firm. Never confuse firmness with rudeness. The firmness is sometimes necessary when dealing with difficult people, but always remember, only love is and will be the biggest and most powerful weapon. I bring greetings from the Galactic Forces who follow your progress with great interest, having accompanied you through many lives. However, our involvement with you has never been more intense than it is now, as you approach the end of your experiences in the old paradigm . We have come a long way together, and we admire your determination to stick to your tasks and achieve victory over the dark Ones. The fact that you have effectively already won that battle does not mean you have no further work to do, and the emphasis is now upon maintaining your position in the higher vibrations. They are your future and also protection while you keep focussed on your present role assisting the Light. We have spoken previously about your ability to stand within your own Light, and not be affected by anything going on around you. Now that you have come this far, you have created an aura that is potentially impregnable, but it does depend on you being able to keep it intact. It means not being distracted or mislead by any attempts to divert your attention elsewhere. Keeping calm in the face of situations that are a test of your strength, is the challenge that you face. Remember that you have come through the trials and tribulations that the 3rd. dimension has thrown at you. You have won the battle yet you still have to lift yourselves up to the higher dimensions. The dark Ones will make their last attempts to distract you but with little effort you should overcome them. By now your awakening should have enabled you to look beyond the programming that has tied you down, to see the deception that has been placed upon you. We tell you again that you are far greater than you imagine or have been led to believe. You are in reality great Beings of Light which you will again be when you merge with your Higher Self. So tell yourself that you have the full potential to be great once more, and nothing is beyond your capabilities. For too long you have laboured under the impression that you are lowly Beings and have suffered in consequence. Now you are beginning to understand why you have been held back through the actions of the dark Ones, but now their power has been diminished and you are regaining yours. While you are spreading the Light we as always keep a watchful eye on you, and will not allow any interference with your progress that will affect the outcome. We can do much to prevent any attempt to delay or intervene in your work, and often you are unaware of such attempts. Bear in mind that the end times are such that a lot of karma or unfinished work is carried out. Often it is left until this period of time as when you have raised your vibrations, your ability to deal with outstanding issues is that much higher. Do not belittle yourselves as you have immense potential and by projecting such a belief you empower yourselves. The Law of Attraction is powerful and a true reality but works in ways that you may not realise. You must be positive at all times, as a negative attitude will attract more of the same. By making the affirmation that you can do something rather than asking for help to do it, you will advance much quicker. Results may not always happen as quick as you would like, but will come in good time. God does not play games with you but there are other Beings that for different reasons will masquerade as God and try to lead you in a different direction. Your intuitive powers should make you suspicious of such entities, particularly if you are enticed by attractive propositions. However, if you have come to terms with your ego you should recognise attempts to mislead you. Until you have fullyreturned to the Light you will encounter various obstacles on your path at different times. Be alert and know that God and the Higher Beings do not play games with you, and are all Love and you will know them by their Light. You may have been cut off from us, but now that the veils that have hidden the truth are being removed, you will gradually regain full understanding. Be ready to learn the greater truths about yourselves and be ready to take your place amongst us. Some souls are not yet ready to learn about the truth of your existence or indeed your past history, but that is not going to hold back their progress. They will be guided to a path that will take them forward and lessons will be learnt regardless of how long it takes. This is why we ask you to see the Light in all souls and never prejudge them, as you do not know what challenges they have undertaken. Coming out of the darkness into the Light is a powerful experience and souls doing so need compassion and help to be successful. Have you not been told by the great Teacher Jesus, to be careful who you entertain as you will not know when you are in the company of an Angelic Being. If you treat all people with respect and kindness you will be doing the best you can for them and yourself. In reality life is not complicated but in your present dimension there is a continuous battle with the lower vibrations. At every turn there is the potential challenge that may catch you off guard, yet if you are strong in your beliefs they cannot cause you any harm. There is only the one great power that is immutable and above all else and that is Love , and all you need to sail through your experiences. Love every soul and if their demeanour is such that you find it repulsive you clearly do not have to strike up a friendship with them. You have a saying “that if you cannot say anything good about someone do not say anything bad” and that is a good way of life. Like will attract like, which you have surely found and you should already have a circle of friends who you are in harmony with. 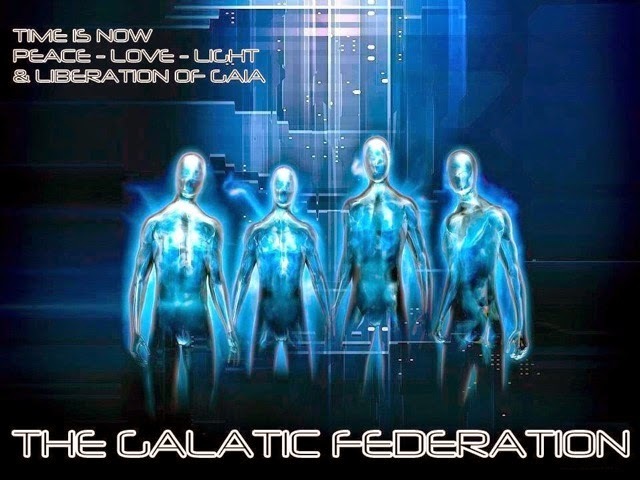 We of the Galactic Fleetsare ready to arrive on Earth within a short time of being given the command. So be assured that there will be no delay on our part once the situation is such that we can safely visit you. You must understand that we do not want to directly interfere with your progress, but will follow orders give to us for you betterment. Be assured we are here for you and look forward to meeting you in peaceful circumstances. 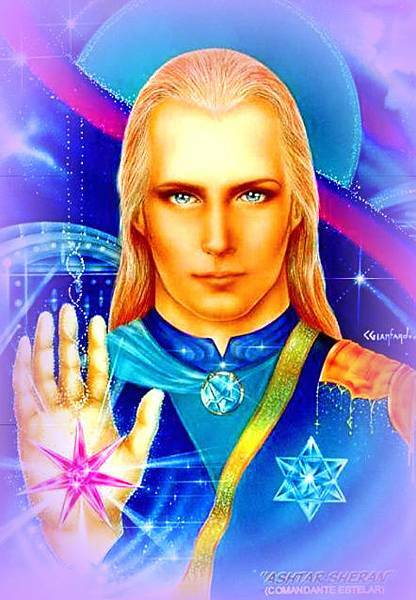 I am SaLuSa from Sirius, and represent the Light forces that care for you. I send you Love and best wishes for a successful end to your sojourn.